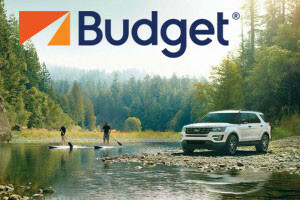 We are Yellowstone's source for cars, SUV's & 7-person Vans. We'll meet or beat any independent rate. With subsidiary locations in West Yellowstone and around Glacier Park. The Billings Airport is 100 miles/2 hours from Cody. Location: The Yellowstone Regional Airport is located just off WY-14/WY-16/WY-20, the Greybull Highway, just minutes from downtown Cody. SkyWest/Delta Airlines connects through Salt Lake City, Utah. SkyWest/United Express connects through Denver, Colorado. Mesa Airlines/United Express connects through Denver, Colorado. Airport Services: Yellowstone Regional Airport offers a full range of services to the traveler. Dine at Jedediah's and tart your morning with a breakfast at the airport, featuring their famous sourdough pancakes and huckleberry syrup or try lunch or dinner before or after your flight. You can also take advantage of aviation services from Choice Aviation and Spirit Mountain Aviation which offers fuel, a hangar, aircraft deice and preheat, tie downs, maintenance and charter. This is the most convenient airport in the region when traveling to Yellowstone National Park, Northwest Wyoming, and the Shoshone National Forest. Parking: Long-term and short-term outdoor vehicle parking at Yellowstone Regional Airport is free. 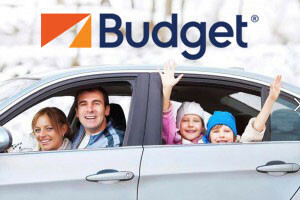 Car Rentals: Year-round car rentals are available at the Yellowstone Regional Airport from several national chains. Ground Transportation: Companies provide commercial ground transportation between downtown Cody and the airport. You may want to check with your lodging establishment to see if they provide a shuttle service. A major airport in the region, Billings Logan International Airport (BIL) is the gateway to the Big Sky area of Montana and the Yellowstone Region of Wyoming. Location: Regardless of which direction you are coming from the Billings Logan International Airport is easy to find as it is located on top of a local geological formation referred to as "The Rim Rocks" or "The Rims." Allegiant Air flies direct to Las Vegas, Los Angeles, and Phoenix. Frontier flies direct to Denver. Horizon Air flies direct to Helena, MT and Seattle. Northwest/Delta flies direct to Boise, Salt Lake City, Reno, Sacramento, Los Angeles, Tulsa, Sioux City, and Minneapolis/St. Paul. SkyWest flies direct to Salt Lake City. Great Lakes connects through Denver. Airport Services: Billings Logan International Airport (BIL) offers a variety of terminal services located throughout the 190,000 square foot main terminal including restaurants, a gift shop, atms, mailbox, and internet. Getting To/From the Airport: Ground transportation to and from the airport can be accomplished via rental vehicles, buses, shuttle and taxies.